Nothing shows the character of a team more then its willingness to fight through injury. 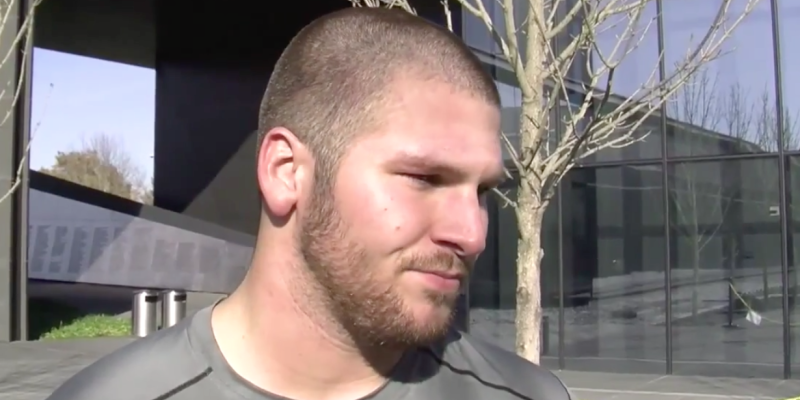 Last year, the offensive line for the Oregon Ducks were no strangers to injury, with star linemen Jake Fisher and Hroniss Grasu both missing extended periods of time due to lower leg injuries. Many people thought losing these guys would derail the Ducks hopes of doing anything long-term, but they continued to fight and went on to have an incredibly successful season. One guy who helped the Ducks overcome all these injuries was Andre Yruretagoyena. 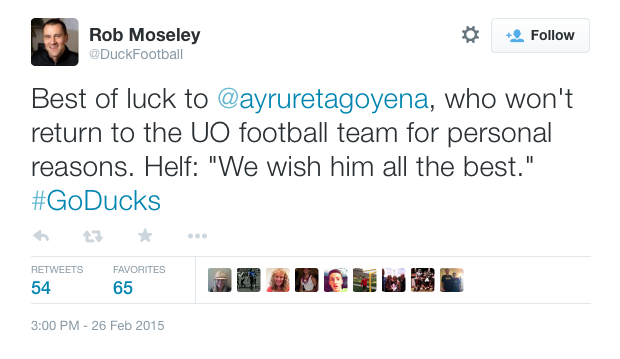 It was reported by goducks.com editor Rob Moseley via twitter yesterday that Yruretagoyena made the decision to retire and forego his senior season. This is not news that Ducks fans were expecting to hear. After the injury to Fisher last season, Yruretagoyena stepped up and helped anchor the line. Unfortunately, Yruretagoyena got hurt as well, but the few games he pitched in before getting hurt, and then coming back towards the end of the season, were enough to have an impact. He was expected to contend for a full-time starting position come Fall. Ducks fans support their Ducks no matter what they decide to do, and this case is no different. It takes a lot to play Football at the college level – the commitment and sacrifice one must make is of epic proportions. 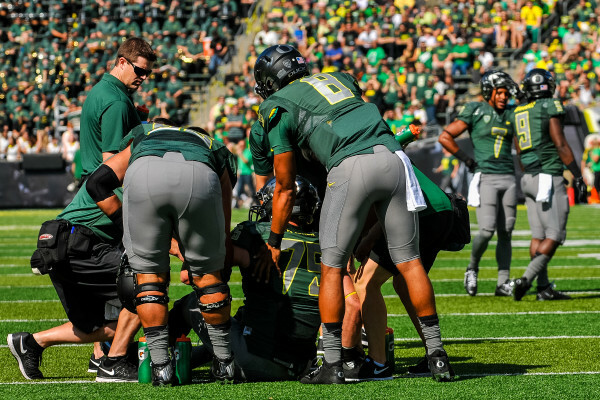 Yruretagoyena gave his all to this team, and Ducks fans should be forever thankful for that.